Cyberelevat0r is an untethered jailbreak tool for iphone 5S, iphone 5C, iphone 4S, ipad Air, ipad Mini and ipod touch running on iOS 7.1.1. This new tool developed by i0n1c who is a raseacher of German Security. Cyberelevat0r would be release soon. 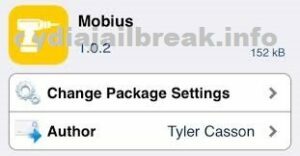 Geeksn0w is the famous jailbreak tool for iOS 7.1.1 jailbreak. But it is a tethered jailbreak tool and Geeksn0w only compatible with iphone 4. So, Cyberelevat0r will become the best tool for jailbreak iOS 7.1.1. When Cyberelevat0r released, you will be able to download cydia with your iphone, ipad and ipod touch running on iOS 7.1.1. This is an fully untethered jailbreak tool. So you don’t need to connect your idevices to the pc when they’re respring. i0n1c uploaded a YouTube video that explaining how to download cydia on iOS 7.1.1 using Cyberelevat0r. 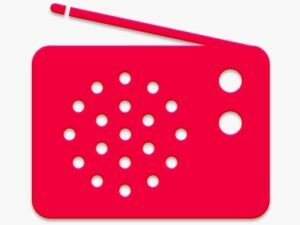 You can see now, how it’s works on iphone 5C. i0n1c tested cydia 1.1.9 on his iphone 5C running on iOS 7.1.1. He has successfully jailbroken his iphone 5C and installed cydia on it using Cyberelevat0r. 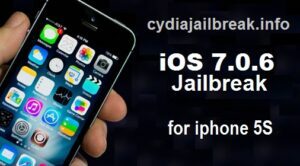 So hope to be hearing a good news about Cyberelevat0r iOS 7.1.1 untethered jailbreak. WorldWide Developers Conference ( WWDC )2014 will be held on 2nd of June to 6th of June at San Francisco, California. According to the information the keynote of the WWDC roundup is OS X 10.10 and iOS 8. But there are many other important topics such as about new hardware and vamped Apple TV and iWatch. While the event, there are some workshops for the developers, the company tipically uses. This is the opportunity to launch operating system upgrades and new terms. First day of the conference is for the keynote from Apple and to share information about operating system updates, new services and new productd. This is the most significant new application with iOS 8, Healthbook. This is a collection of information about fitness and health. User will be able to customize the helthbook information and visuals. It will give you valuable statistics about health. There are many data with various blood work details, heart rate, blood preassure, nutrition, blood sugar, sleep, respiratory rate, oxygen saturation, weight etc. For iOS 8 Apple planned to improve the features in mapping software. In addition to this Apple update the app with reliable and plentiful data, tweaked cartography, more clear labeling and improved notation of bus stops, train stations, air ports. There is another major improved feature, It’s Public Transit Directions. In this app iOS 8 will let you to find out the special places alongside the searching roads. Siri lets you to use your voice to send messages, schedule meetings, place phone calls etc. Ask Siri to do things just by talking the way you talk. According to information, Apple’s virtual assistant and voice-recognition feature has been updated. Along as roumers in iOS 8, They will seperated out the music app iTunes Radio into it’s own application. 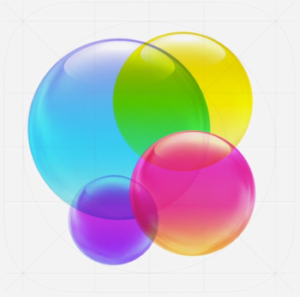 Roumers say that Apple is considering remove the Game Center application from iOS and OS X and including another functionality and approach to the games, Instead of centering around the Game Center app. When you jailbreak your iphone, ipad or ipod touch, it will automatically download cydia on it. Cydia is a software application for iOS which is allows jailbroken Apple idevices such as iphone, ipad and ipod touch. Cydia developed by Jay Freeman and his company ( Saurik ). If you download cydia you can browse lots of applications, software packages, themes, cydia tweaks, ring tones, etc. So you can Download tweaks by cydia. In this article, you can get some information about latest cydia tweaks. This is a music sharing experience which unavailable on iOS. You can share the songs you are currently playing directly from Notification Center, without using any other app or without multiple actions. iMusicShare comes with an awesome mini player. So you can share and control music from Notification Center. This is a customizable cydia tweak. You can change the playing order and controls widgets. You can enable, disable or change it’s interface using WinterBoard themes. Enjoy your music experience on iOS by Downloading iMusicShare now. NotificationCenter can be configured from the Settings app, in the Notifications panel. This is a cydia tweak for pre-cropped screenshots. You can select the area which you want to capture. Use Activator to assign to enter “screenshot mode”, where you pick exactly what to screenshot. So no need to crop later. You can configure it from Settings. Configure action from Activator Settings. This applications which should make it a lot easier and faster to reinstall your favorite jailbreak apps. AptBackup doesn’t actually create a backup of the native iPhone apps, instead it creates a list of all the Cydia-installed iPhone apps on your iPhone and takes a backup of this list via iTunes which is later restored after the firmware update. It uses this list of all the Cydia-installed iPhone applications that was backed up to re-install all the applications automatically. It will adds an assistant to your springboard that inform you about the current weather conditions, location, forecast, battery level, time etc. Homescreen Assistant have antipiracy measures, so cracked versions are unlikely to work. Mobius is a best cydia tweak which brings us to infinite scroll to iOS springboard and the folders in it. It lets users continually swipe through their iOS pagesYou can Download mobius cydia tweak easily and launch the scroll till the end. It’s available for iOS 7.
tsProtector P will protect your system files from AppStore apps. You can allow or block any apps from accessing system files. An alert will pop up when an app tries to access system files. Note that not all applications attempt to access system files in tsProtector P. Configure tweak options from Settings app. No icon is added to the home screen. Axis gives you quick and convenient access to favorite apps straight from the lock screen. Simply slide the lock screen grabber left to reveal your Axis. then tap the app you want to open. Set your custom app grabbers via the Axis Settings where you’ll find a wide variety of apps, which each have their own tailor made app grabber icon. If you have a passcode set, don’t fret. Your apps are secure with a custom passcode input prompt. Configure options from Settings. If you like to download games, movies or any other files on your idevice, The most popular method to download from the internet is torrents. If you want to download games or movies or anything with torrents on your iPhone, iPad and iPod touch get iTransmission4 cydia tweak. This also available for iOS 7. With piano passcode you can unlock your idevice with piano music. May have some conflicts with other lockscreen/passcode tweaks. Don’t forget to un-mute your device. Configure options from Settings app. SMS on GV is a Mobile Substrate extension that integrates Google Voice SMS into the iPhone messages app. There are some issues and limitations. When this tweak is installed, iMessages Picture Send does NOT work. The text send and receive as well as Picture receive work. It is very likely that MMS has the same issue. It is unlikely that this will be fixed any time soon. The tweak is NOT work on iPod. It may be due to the reason that SMS is disabled on iPod’s Messages app. This mean that it will not work on Wifi only iPads. While it is possible that it will work on 3G enabled iPads.Configure options from Settings. This application lets you change or add information on SMS Conversation, Call History or your GPS Location. After installing then launch FakeMyi icon from SpringBoard. It will show current GPS, current SMS Conversation and Call History. You can click each data to modify or can add new record. In addition to Bigify, which is free, here is Bigify+. Bigify+ is even bigger than Bigify. It can make your icons look blue and icy, inverted and strange, even cracked like pavement. We added many new features like a preview window, a colorizer, and textures.No new icons are added to your homescreen. Options are configured from Settings app. Autopano allow you to automatically take panoramic photos using the vibration system of your iPhone. It supports any app with this feature and also the native function introduced by Apple in iOS 6. If you want to take a 180° or 360° panoramic photo select it. Select the time after which your iPhone will automatically start to rotate. Place your iPhone in an upright position on a level and smooth surface. Automatic rotation requires iPhone 5. NotificationCenter icon can be enabled from the Settings app, in the Notifications panel. Download redsn0w is an free untethered jailbreak tool for pre A5 idevices. It developed by iphone dev team.You can jailbreak your iphone 4S, iphone 4, iphone 3GS, iphone 3G, ipad 2, ipad, ipod touch 4g, ipod touch 3g, ipod touch 2g, ipod touch with redsn0w. There are many versions in Redsn0w and Redsn0w 0.9.15b3 is the latest version. Download cydia with redsn0w is now available with Windows and Mac OS. Now you can download cydia to your iphone 5Srunning on iOS 7.0.6. You can use evasi0n7 1.0.8 new jailbreak tool for jailbreak your iphone 5S. Evasi0n7 is an free, untethered jailbreak tool that developed by evad3rs. Confirmed the iOS version is iOS 7.0.6 through Settings → General → About → Version. If you are not, update the iOS version into 7.0.6. Then you can download cydia and install cydia on your iphone 5S. Your device will free – When you jailbreak your iphone 5S, you can fully control your device. Cydia Download – When you jailbreak your iphone 5S with evasi0n7 it will automatically download cydia on it. Then you can enjoy free apps on cydia such as themes, tweaks those are non available on Apple app store. Unlock iphone 5S – Jailbreak with evasi0n7 will open the doors to unlock your iphone 5S. So that you can use it with any GSM service provider world wide. Empower your iphone 5S – After jailbreak your iphone 5S, it works as a wifi hotspot, puts your e-mail and calenders on home screen, enable you to download you tube videos straightly and enable to share your internet connection. Fast and easy – Once you follow evasi0n7 jailbreak proceed step by step correctly, you can jailbreak your iphone 5S with in few minutes. Increase resale value – You can sell your iphone 5S for a higher price than a non jailbroken iphone 5S. 100% Revesible – If you want to get the original settings on your iphone 5S, you have to simply restore the iphone 5S. That will remove cydia and jailbreak software from your iphone 5S. 100% Legal – Jailbreaking idevices is legal in United States under the Digital Millennium Copyright Act.